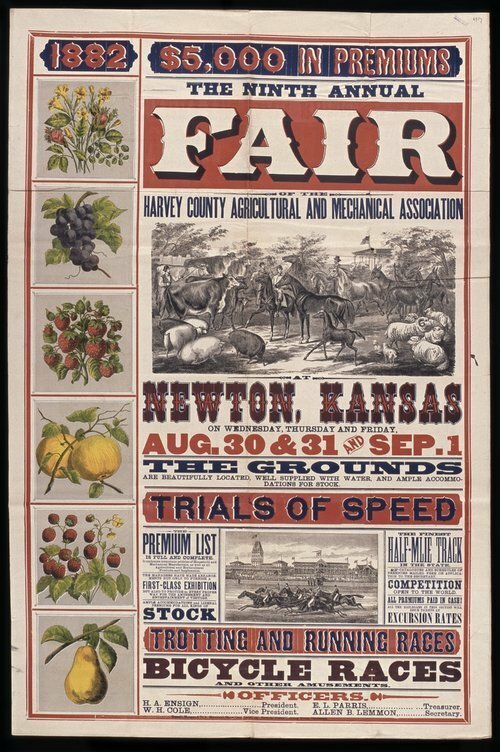 This poster announces the ninth annual fair at Newton, Kansas, sponsored by the Harvey County Agricultural and Mechanical Association. Highlights of the fair include $5,000 in premiums, trials of speed, bicycle racing, and exhibitions of stock. The poster includes illustrations of livestock, horse racing, and farm produce.